It has a great medieval center to explore, and it has plenty of tapas bars and nightclubs. What's not to love? But it has plenty of romance of its own. It's the home to Spanish Kings and Queens. Its museums are among the greatest in the world. The Puerto del Sol is one of Madrid's most important squares. It's a great central location to start from. In fact it's the point in Spain from which all distances are measured. We stayed in a little hotel just up a side street, and there are many hotels in the vicinity. You can catch the subway here or just walk to the main sights. 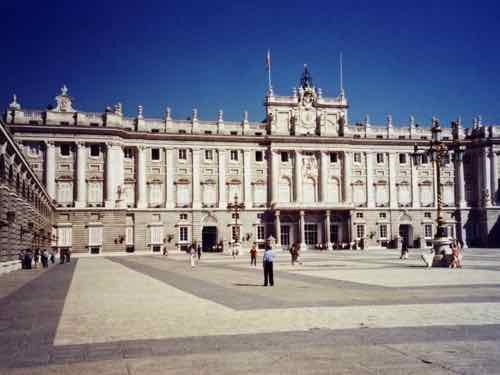 It's centrally located between the Plaza Mayor and the Royal Palace in one direction and the museums in the other direction. First head for the Plaza Mayor, the original town square, and a great place to start exploring “old town” Madrid. 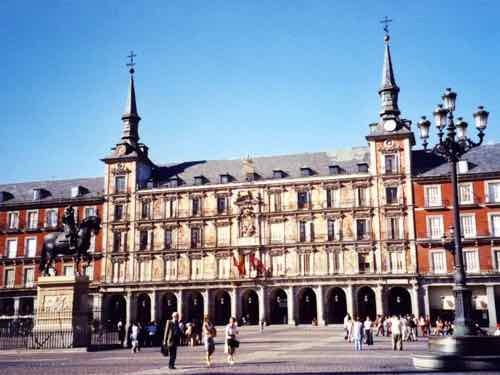 The Plaza Mayor is completely enclosed with 5 story burgundy buildings. 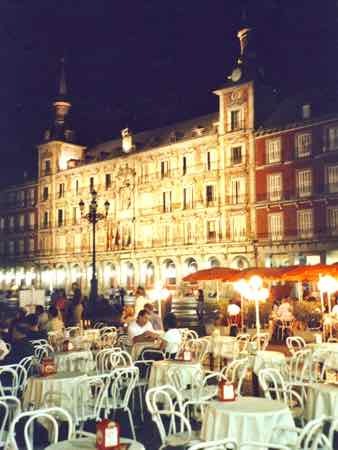 The restaurants and tapas bars that line the lower story charge tourist prices, but it might be worth the price to order tapas in the Plaza Mayor.... that will give you a chance to sit and soak in the ambiance. It was a great place to sit and get over jet lag. 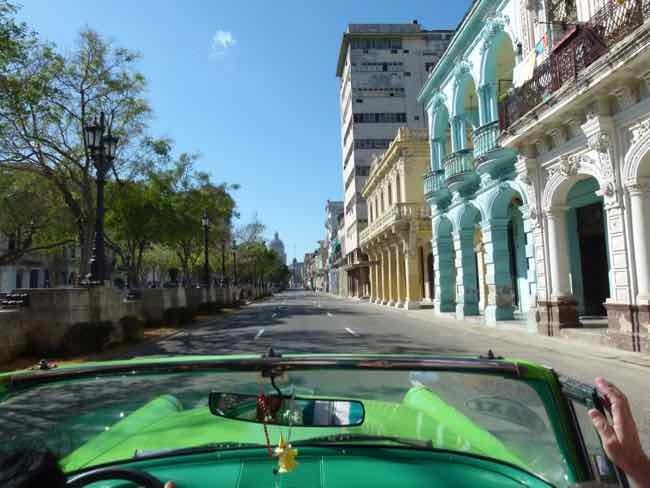 Continue on down the Calle Mayor, and take a tour of the Royal Palace. Many guidebooks gloss over the Royal Palace, but we thought it was a great palace to see. An hour or so will have you winding through extravagantly decorated rooms. It is the official residence of the King of Spain, though the family usually stays at a smaller palace on the outskirts of town. If there is a "state occasion", as in if the King gives a dinner the night before, the palace may open late or even be closed! We had to wait until noon for it to open on the day of our visit. The Almudena Cathedral is across from the Royal Palace. Near the Royal Palace, on the east side, is the Plaza de Oriente with the restaurants where you can stop for lunch. A nearby subway stop lets you get to the museum area. There are three museums to see. The Prado is the most famous. It's one of the greatest painting museums in the world. In the Reina Sofia Museum you will find impressionist and modern art... most notably Picasso's Guernica. Finally you must see the Thyssen-Bornemisza with a full range of art from 13th century to today. Consider a museum card which will get you into all three for less than you would pay if you paid admission to each one separately. In the afternoon, relax in Retiro Park. That's what many Madrienos do, so you'll be joining mostly locals. It is close behind the museums. Just inside the park, there is a large artificial lake with outdoor snack shops. 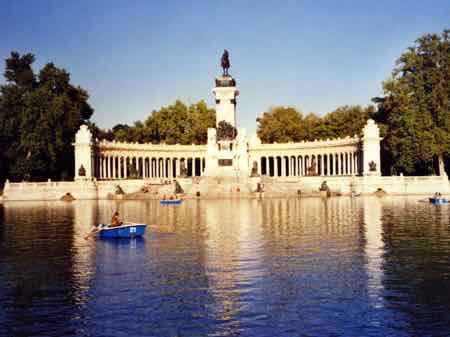 In the Retiro park, there are stands where you can buy a tapas size plate of Seranno Ham, have a beer or a glass of wine and watch the locals pass by in "el paseo", a leisurely stroll around the lake. We got a kick out of sitting there being a part of the local scene. Tapas bars are a part of Madrid's nightlife.... Order a glass of wine and a few tapas and enjoy. "Raciones" are larger portions, tapas are smaller snacks. Sometimes in the tourist areas, you can order a “menu” of tapas and get a sample of maybe 5 to share. You won’t REALLY be participating in the tapas bar scene, but it’s one way to get your feet wet. Tapas might become your dinner unless you are into eating late at night like Madrienos are. That's what we did more often than not. And after your first day, you’ll be glad you visited Madrid. And if you want to see a little more of Spain on your own, drive to see Segovia and Toledo.